Speaking about her association with the festival and the theme of diversity with a special focus on films by female directors, Vidya Balan said, "I am excited by the number of female directors and writers who have their work showing at the Festival"
The Indian Film Festival of Melbourne (IFFM), which is supported by the Victorian Government, will run from August 10 to August 22 this year. This year the theme is diversity. Over 60 films from India, indie films and short films in 20 different languages will be screened - these films will be from India and the subcontinent. This year, Vidya Balan returns as the ambassador of the festival. Speaking about her association with the festival and the theme of diversity with a special focus on films by female directors, Vidya said, "I am excited by the number of female directors and writers who have their work showing at the Festival. Over the past few years, a new generation of female Indian filmmakers has begun to shine on the global stage. To see women behind the camera and creating powerful pieces of art is reflective of the positive steps that the film industry in India and the subcontinent are taking." In the past Amitabh Bachchan, Rishi Kapoor, Anil Kapoor, Fawad Khan, Nawazuddin Siddiqui, Sonam Kapoor and Kangana Ranaut have participated in the Indian Film Festival of Melbourne. 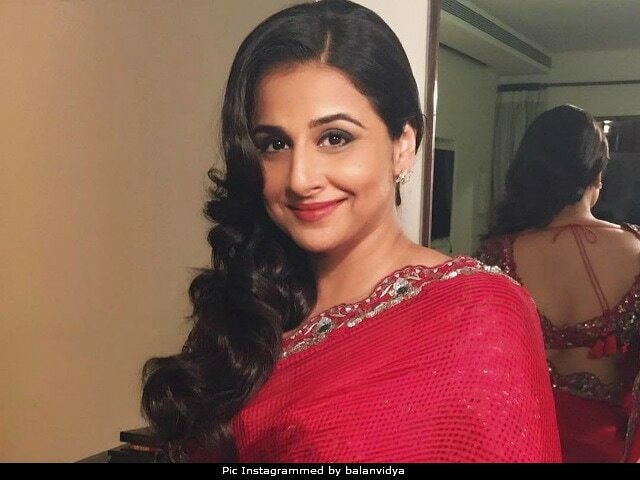 Vidya Balan is currently shooting in Mumbai for her next film Tumhari Sulu, which is slated to release in December.